Well Naturally Chocolate Review And A Giveaway! Mmmm, chocolate! I love chocolate. Well, our whole family loves chocolate. Our cupboard always has a handful of chocolate in it somewhere. We don’t eat too much though as don’t forget it’s better for you in moderation. 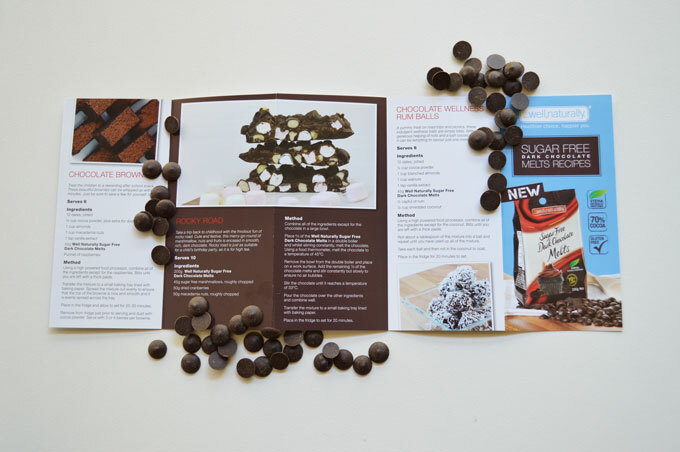 So you can imagine I was very excited when I was asked to do a product talk on Well Naturally No Sugar Added chocolate. I went YAY!! Chocolate, we love and with no added sugar even better, right! 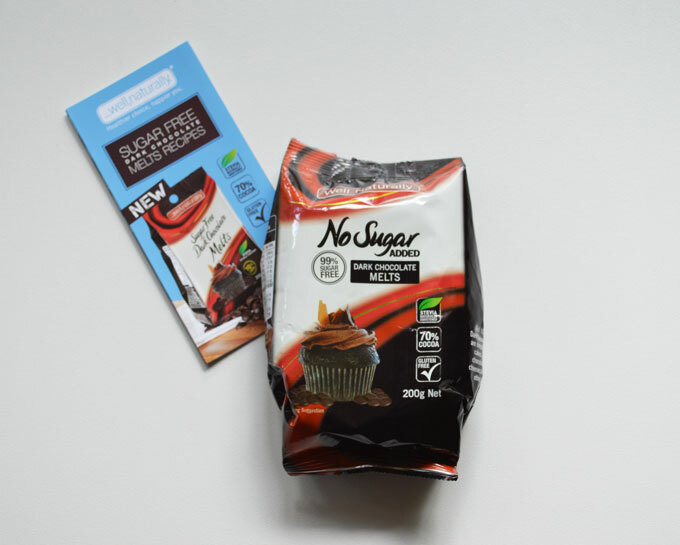 The Well Naturally No Sugar Added range is made without any added sugar. There are no artificial sweeteners or “secret sugars” like agave syrup or fruit concentrates. Instead, they use Stevia to sweeten their products. Stevia is a natural, plant-based sweetener that is around 300 times sweeter than sugar. Stevia has no calories and no impact on blood sugar levels. We received our lovely bag of goodies and couldn’t wait to get stuck into it all. I rallied around all of my taste testers and sat them down at the table to try a piece from each block of chocolate. I was wondering how we would go eating a chocolate with no added sugar in it, but the kids were all ready to give it a go. Milk Chocolate fruit and nut: everyone loved! Nice amount of fruit and nuts and a nice creamy taste. Milk Chocolate creamy milk: the 6, 9 and 11 yr old enjoyed eating this. The 16 yr old didn’t enjoy it as much as the fruit and nut. Hubby and I weren’t too keen on it either. It was still a creamy chocolate but not a favourite. Dark Chocolate acai: the 6 yr old didn’t like this as she doesn’t like dark chocolate as much as milk. The 9 and 11 yr old enjoyed this and said it was very nice. Hubby wasn’t too keen on it either. I loved it. I could have eaten the whole block. I love dark chocolate. It was nice and smooth. A great dark chocolate. Dark Chocolate mint crisp: I didn’t try this one as I am not much of a mint fan. Everyone else enjoyed it though and said that it was nice and minty. Dark Chocolate rich dark: The kids didn’t like this one as much as the others. I think they like dark chocolate when it has something in it such as the bits of mint crisp! Hubby and I liked this chocolate. It was nice and smooth. There was no after-taste left in your mouth that I know some dark chocolates can leave a residue. 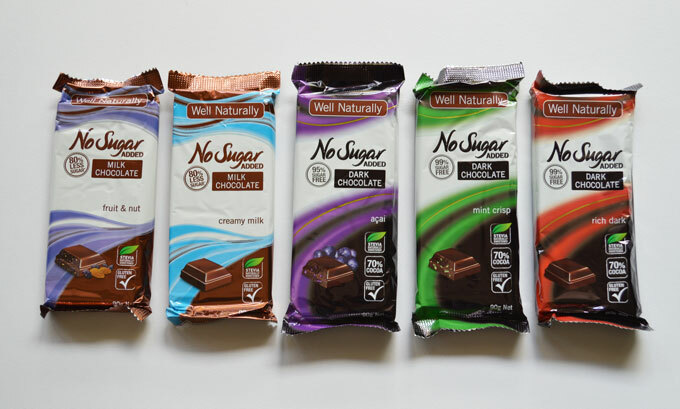 After eating and trying the Well Naturally No Sugar Added Chocolate range, we were all quite surprised that it was still a great tasting chocolate. 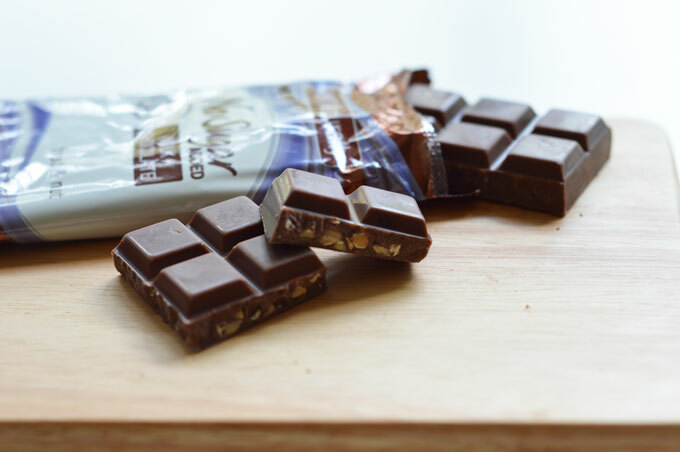 It’s nice to know that you can still enjoy a yummy chocolate snack without all of that added sugar. Did you know that some Australians are consuming far more sugar than is necessary? It’s in the fruit juice that we have for breakfast, our pasta sauce at lunch, and sometimes in our sweet afternoon treat. 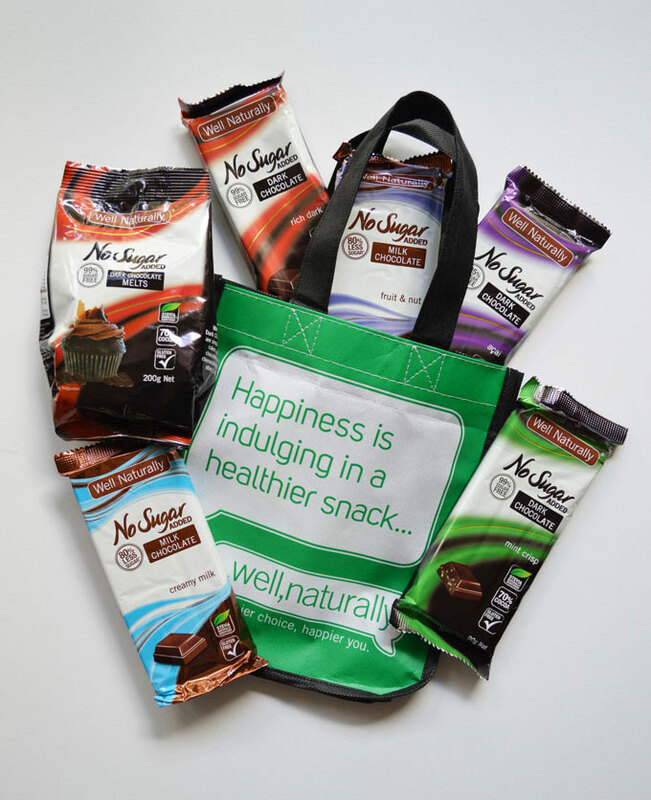 Well Naturallys mission is to help consumers reduce their sugar intake, thereby increasing their overall health and wellbeing, whilst still being able to indulge in their favourite snack. Well Naturally products are available in Woolworths, Coles, independent grocers, health food stores and good pharmacies nationwide. And just to make the chocolate even more desirable to indulge. I was given a packet of Well Naturally No Sugar Added Dark Chocolate Melts. Will there be a recipe do I hear you say? Why yes of course! But I will share that with you tomorrow as I have something special to tell you. Leave your answer in the comment section below by Midnight on Wednesday 29th October 2014 for your chance to win. Winners will be contacted by email after the closing date. This giveaway is open to Australian Residents Only. I think i would have to go for the milk fruit and nuts, I like nuts in everything! I’m excited by the melts, that really appeals to have a lower sugar baking option. Good review Simone and after that I think I would like to try the Acai because I haven’t try it before and I do like dark chocolate and the no sugar is a big plus. Do they make a dark chocolate with nuts because that’s what I’d really like? I’m torn between the Dark Chocolate Rich Chocolate and the Dark Chocolate Acai. I love the taste of dark chocolate on its own, but the idea of adding acai is intriguing. I’d love to try it. Thanks for a great review. I can’t wait to try these chocolates. Saw your rocky road recipe which led me here, chocolate without sugar, sounds great for someone who wants to cut down on sugar intake but seriously loves good chocolate. (Me). My daughters are rocky road fans , so I’ll be sharing that recipe with them once the braces are off ( 6 weeks fingers crossed) . 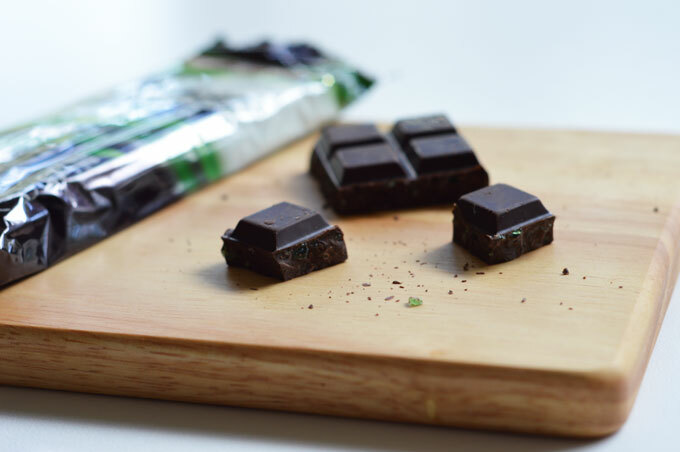 I’d nibble on Dark Chocolate Mint Crisp to tide me over until my freshly baked banana and choc-chip muffins using the dark chocolate melts came out of the oven!